Okay here you are sitting with that lovely shiny acrylic on your nails. Its time to make it more beautiful. Trim: First trim down the acrylic nails if required using a fine nail clipper. File: Use a coarse (not soft this time) nail file to give the desired shape to your new acrylic nails. Buffer: Use a good nail buffer to buff the nail surface and make it shiny and butter smooth. WARNING: Do not buffer too close to the cuticle, you may hurt yourself and yes it hurts a lot! If you feel burning sensation during buffering then simply move to the other areas to keep it cool. Don’t be too rough while filing your new nails. You don’t want them to break. Yes get your favorite nail paint and apply more than a few layers on your beautiful acrylic nails. 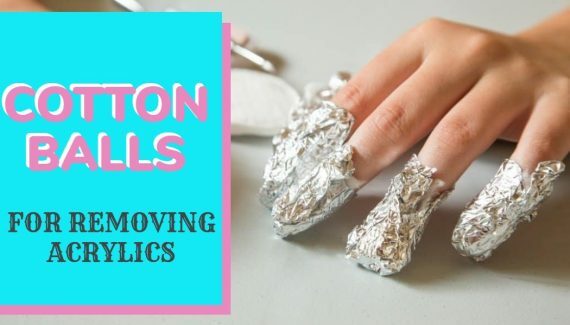 Give them a very shiny and smooth surface that those without acrylics feel like killing you out of jealousy. ha ha just kidding! TIP: Before you apply the nail paint, make sure you clean the nails and remove the leftover dust due to filing with the help of nail duster. STEP 3: Are we not done already? 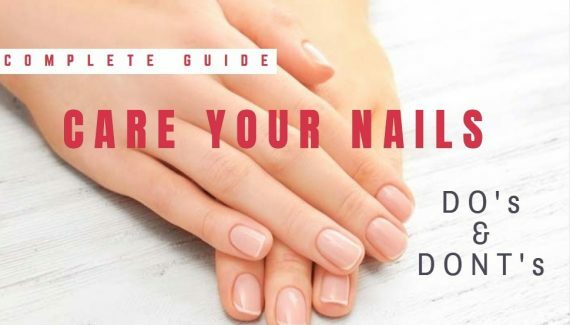 You will need to maintain the nails regularly as they will grow in around 14-16 days then you can remove the acrylics or you can apply more acrylics as you wish. Please don’t feel sad if you didn’t get them right after your first try. Remember every first success is preceded by a failed attempt. If you need any further help or want to ask anything about acrylic nails, feel free to contact us or simply leave your comment here. Great tutorial! So detailed! Is there a video where we can see the application of the acrylic to the nail? thanks i would like to know what the gold sticker things are in the pack for and what you do with them…the have numbers on them and my pack didnt contain primer can i buy that here??? Thank you. I purchased the recommended kit and a little electric nail trimmer to start off with. I will upgrade to some of your other recommendations later if this is something that I can actually do. Great tutorial. Only part the was confusing was the parts of the nail to apply the acrylic bead. Thank you! The gold “stickers” are for doing acrylics without using tips. You use them as a form to create a tip right from the acrylic. When buffing the too of my nail after the acrylics are on and dry, do I want to use a coarse or semi coarse or soft buffer? What is the purpose of the Nail art dust remover? To clean the surface before you go ahead with paint job. This ensures a smooth and high quality finish. A semi coarse or soft buffer should be used at that stage. monomer and acrylic liquid are one and the same thing. Monomer is just the technical slag used for acrylic liquid. It has to be mixed with acrylic powder to prepare the mixture. When I get my nails done they put some liquid on my nails and tells me to wash them. What liquid is that? Hi. Where’s the step where you use the electric nail buffer? If I wanted to do a chrome finish would I do it after applying a colored polish? Also are there any chrome / metallic powders you could recommend? Thank you soo very much for your detail and tips. My kit came with a UV gel primer can you used it with acrylic ?